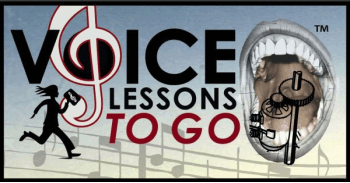 As a voice teacher, I find myself speaking a lot about technic and how to be a good singer. A subject I don’t think I have spoken about is how I feel being a voice teacher. I get such a thrill when I hear a new voice. It is so magical to hear what people are walking around with in their larynx. Every time I get a new student or do a Vocal Assessment on a new voice through my website, it is like unwrapping a gift for the first time. I have singers who know nothing about singing who have full on classical voices that could sing on an opera stage, others with the clearest diction made for musical theater, some voices are smokey for torch songs, others have a fabulous grit for the blues or rock. I love being at my piano bench or computer screen helping a voice that is new to me find its way to be the best voice that it can be. Not everyone is good. But everyone usually has something special about their singing voice, or performance ability. There are those who light up a room with their faces when they start to sing, those that you can’t look a way from, those that move you spiritually. The voice has as many unique qualities as do people’s faces. I ‘ve worked with a few new voices lately through my Vocal Assessment service and studio that have moved me to share this with you. Enjoy the uniqueness of your voice. I hope to hear many of you!